Prime Web soft is a Best website design and development company which visibly appears different in quality on economical terms. Our team of skilled expert is proficient in the latest web development technologies and provides the best web-support to our clients.Our Web Development services promise to make your website stand out from among its crowd of competitors. We are Design and develop with ASP.Net, PHP, HTML, JAVA, CSS.Web Application Development Company in Delhi offering complete IT solutions. We put many years of experience in providing Product and Website designing and Development, Website Maintenance, Web Portal Development, E-commerce, Search Engine Optimization (SEO), We focus on providing quality and result oriented solutions to our esteemed customers. 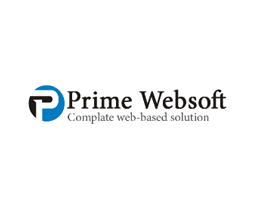 Prime web soft, work with crystal clear aim to provide the ultimate in web designing and development and also keeping in mind the positive outcome. Quality and commitment is foremost for us.